LA-based Mother has added a men's line to its popular denim offering, with pieces including shirts, jeans and jackets. Short and long sleeve woven shirts, hoodies, track suits and trousers also feature in the first assortment. The line's denim is based around three fits: skinny, straight and tapered straight, which are available in four different washes. Each fit has been given a nightlife-inspired name and are called the Joint, the Neat and the Chaser. Explaining the decision to launch a men's line, Mother's creative director and co-founder, Tim Kaeding, told the LA Times that the brand had previously worked with "men’s-inspired fits on men’s-inspired, non-stretch denim" as part of a project called Mother Superior. "The line did really well, and I thought, ‘Wow, this a natural progression into men’s. We had the look, the washes and the fabric,’” he added. Mother was founded in 2010 in LA by Kaeding and fellow denim veteran Lela Becker. The brand launched the men's line online this season. 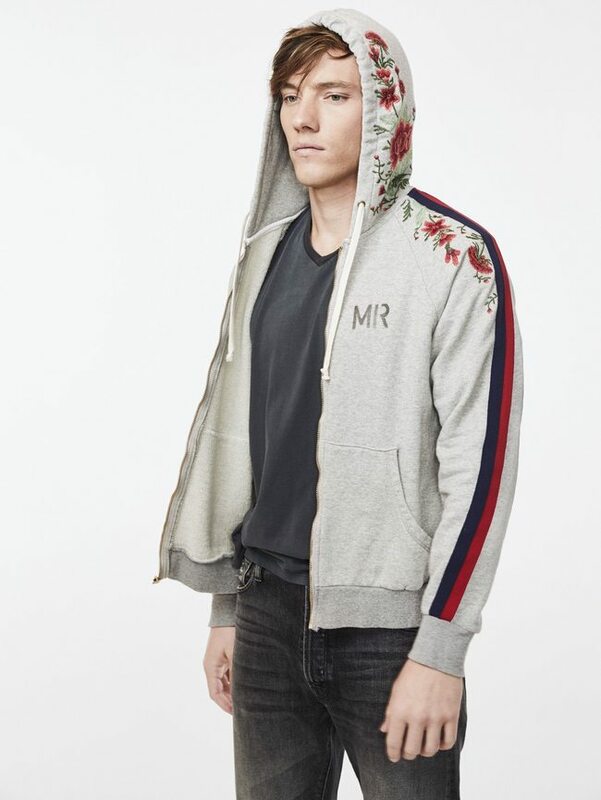 Pieces are priced from $85 for tees to $325 for an embroidered zip hoody and are now available online through Mother and in store via a partnership with Ron Herman.